Is the gem you are looking for the right "size"? 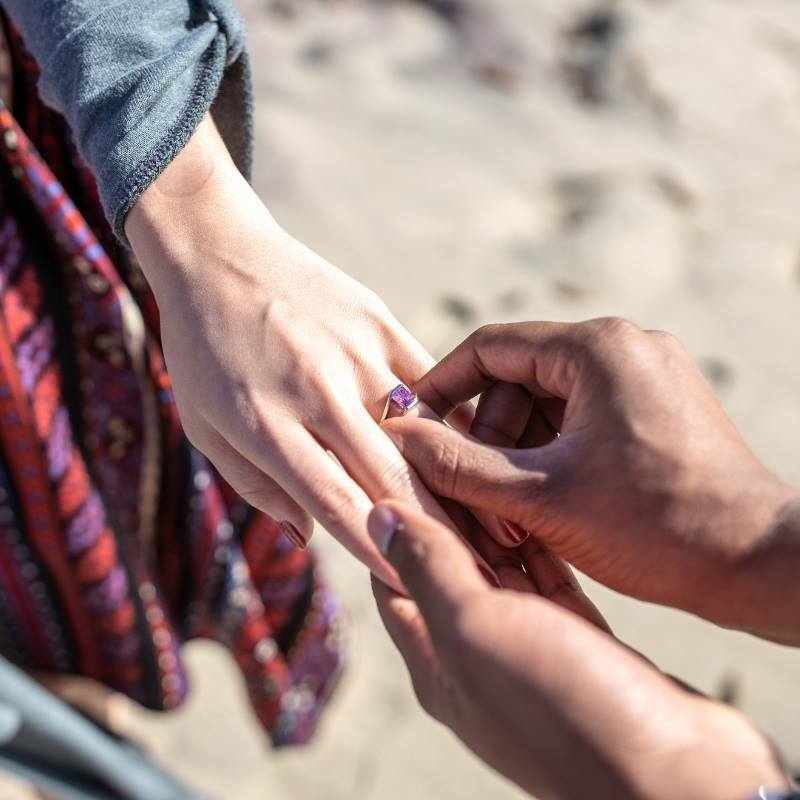 Many people come to us looking for a certain carat "size" of gem, but they don't realize that often this is not the best measure to tell whether the gem in question will work for their project or not. Since carats are a measure of weight and not a measurement of visual size they can be misleading. 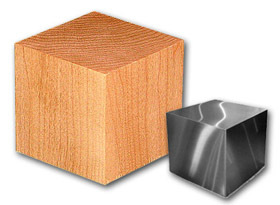 Imagine looking for a one pound block of wood or a one pound block of steel. They both would weigh the same, but the block of wood will LOOK far larger because wood is less "heavy" than steel. In technical terms they have different "specific gravities" and so does each gem material. Diamond is much "heavier" than opal for example. Notice how different the depths of the gems to the right are. They are both "correct" proportions but different cutting styles. Because of these different factors millimeter (mm) size is far more important for practical purposes than the carat weight since it measures the actual physical size of the gem. You want to know the carat weight because your friends (or customer's friends) will ask. 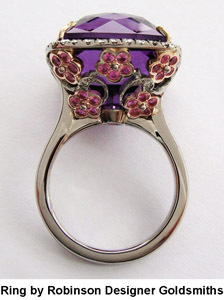 But you need to understand the mm size so you know if a particular gem will work for the design and style you want. This page is to help you get a better feel for MM sizes and what they mean in visual and practical terms. . When thinking about size also keep in mind the shape of the gem, some shapes will look larger even if they have the "same" mm size. Due to differing screen resolutions, etc. this image is probably not actual size. But it serves to illustrate what we are talking about. For actual sizes use the guides below. .
Due to differing screen resolutions, etc. this image is probably not actual size. But it serves to illustrate what we are talking about. For actual sizes use the guides below. To help you decide about the specific gem or gems you are looking at on our website we offer the PDF documents below that can be downloaded and printed for use in judging visual size. Download this one for8.5x11 inch paper (US Document size). Download this one forA4 paper size. If you need a different paper size or want the gem you are interested in placed in the document for printing pleasecontact us via email. Another important factor to take into account when purchasing a gem is the depth measurement. This will help you know how high the gem will sit in a mounting. If you have a specific setting in mind knowing the depth will tell you whether the gem will fit in it.Info on how we measure the depth is here. As a general rule the larger the diameter of the gem the deeper it will be in most cases. There are however some cuts which are very shallow relative to their width. (An example would be some of our "Fantasy" styles, specifically the"Low Profile" category.) But other gems need to be at least somewhat deep to properly reflect light and be beautiful, especially the more traditional flat faceted kinds of cuts. To understand more about optics, necessary depth and the importance of a good cut watch the video on"Good Vs Bad Gem Cutting" here.